His major inspiration was Corregio, who is also from the city of Parma. In his day Correggio became famous for creating magical effects of light and shadow in his paintings and drawings, and especially for his technique of sfumato (the seamless blending of tones in the manner of smoke). Emerging from Correggio’s legacy, Parmigianino came into his own as a master of elegant figure drawing and as a leading artist of Mannerism. 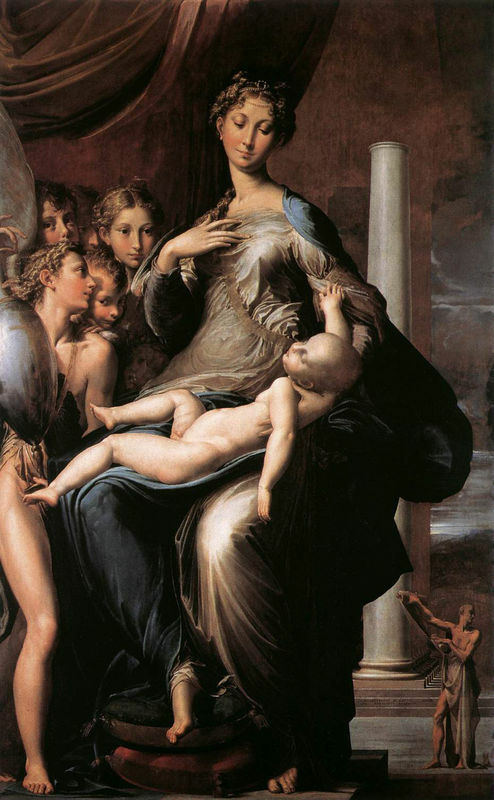 One of Parmigianino’s most famous paintings is Madonna with the Long Neck. 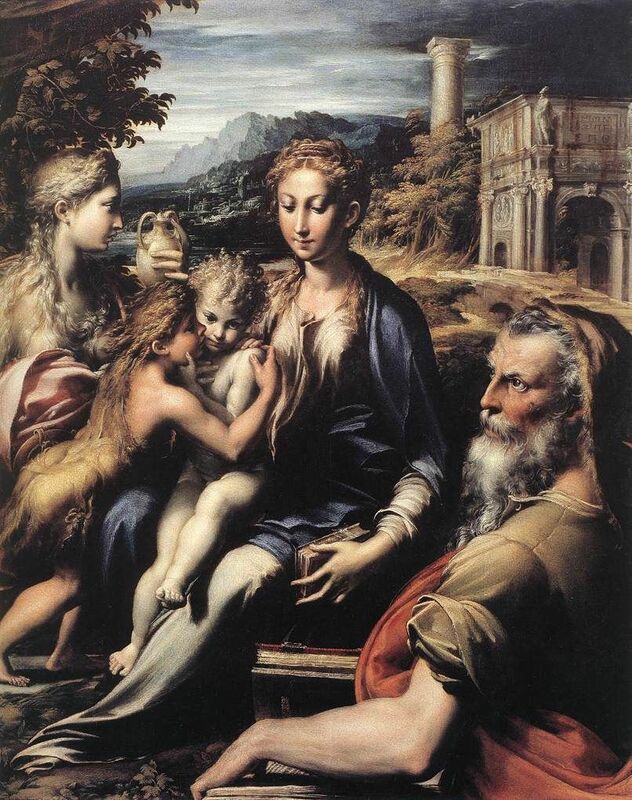 It was originally named Madonna and Child with Angels and St Jerome, but earned the name because of Madonna’s curiously long neck. The subject of this piece is derived from medieval hymns which compared the Virgin’s neck to a great ivory tower or column (in the background).